As an adult, Dean spent several years in southern France where he painted and submersed himself into the local culture. While there he gained an appreciation for the decorative arts and period furniture. Upon his return to the states, he had a rare opportunity to study furniture design and fabrication from the world renowned Andre Liardet who’s studio was in Beverly Hills, California. He started his own successful business in 1976 where his heavily painted and carved works can be found among royalty, stars and prominent business people around the world. In 2006, Dean decided to devote his talents to painting full time. 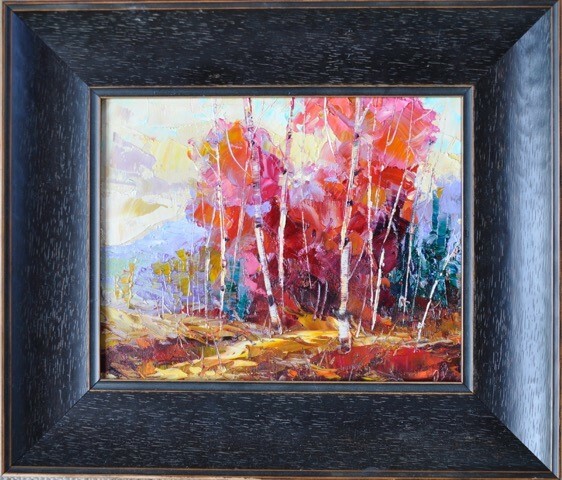 He lives in the mountains of northern Utah and finds himself surrounded by some of the most spectacular subject matter for which an artist could hope. 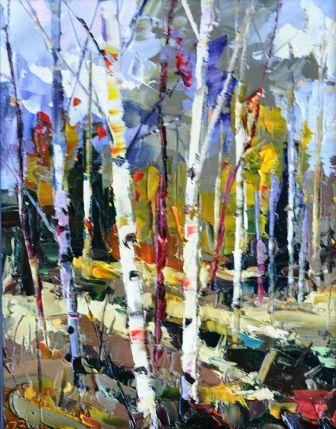 His use of both the brush and the palette knife renders this visual wonderland into compelling landscapes. In painting, Dean seeks to achieve abstract quality using recognizable shapes. He works plein air, relying on good memory and photos for minimal reference. Known for his strong textures and saturated colors, Dean makes up his own hues, often heightening them, yet remains true to nature.